Computers have transformed the diamond business. One obvious way is the manner in which they are sold. Computers and the Internet, combine to allow a database of diamonds to be available to consumers through multiple diamond selling websites. 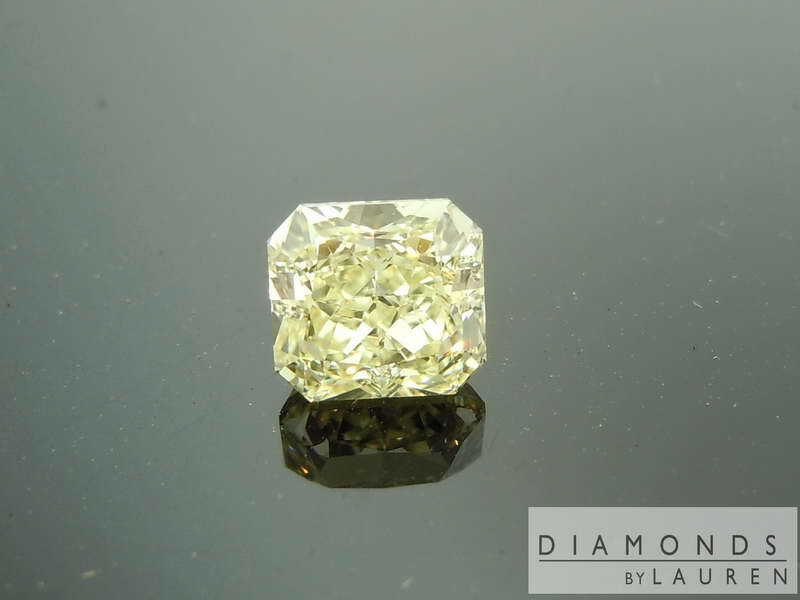 You won't find this, or any of our diamonds on any other websites because we own over 90% of the diamonds on our site, and we offer them exclusively. However computers have changed the diamond business in other ways too. 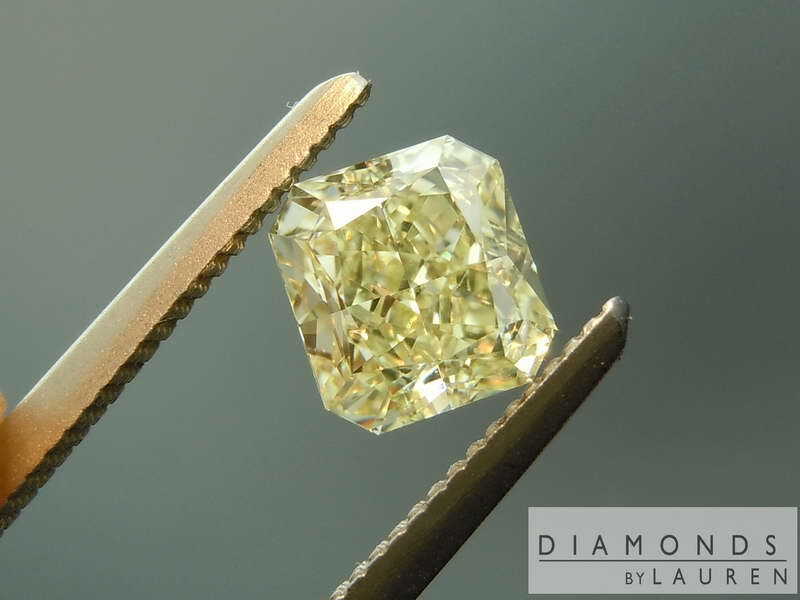 For example, the technology of diamond cutting. The average quality of cut has increased. 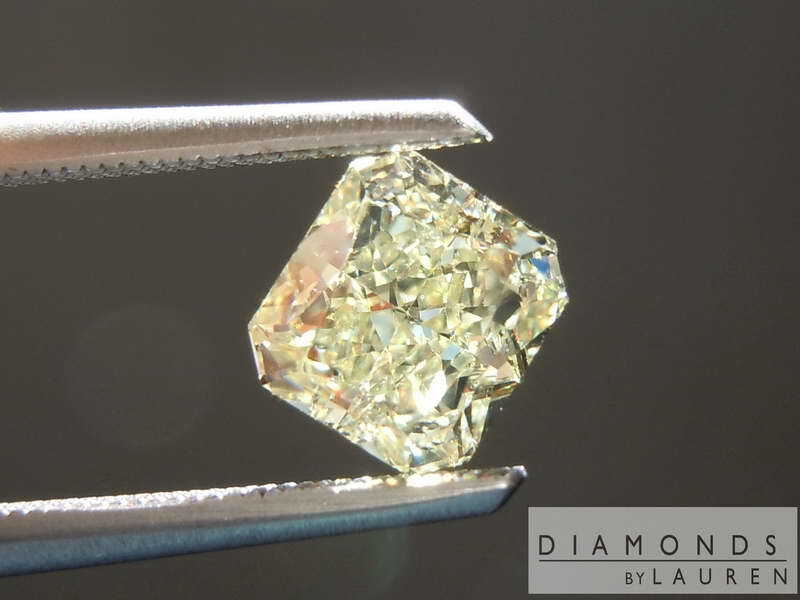 The reason is that computers allow very precise planning of the cutting – increased technology in tools now allows less skilled cutters to produce some beautifully crafted diamonds. 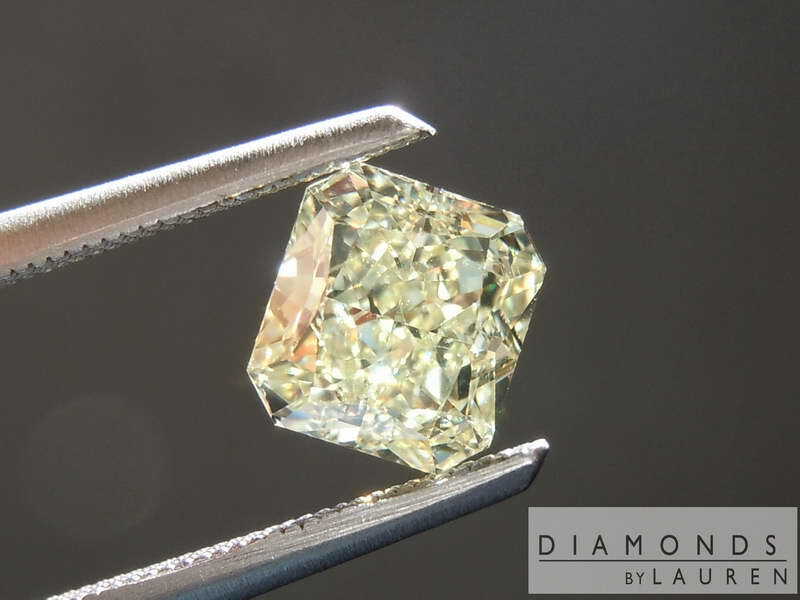 This Diamond is cut just the way you'd like a "fancy colored" diamond to be cut. I use the quotations because in all ways aside from the name, this is a fancy colored diamond. 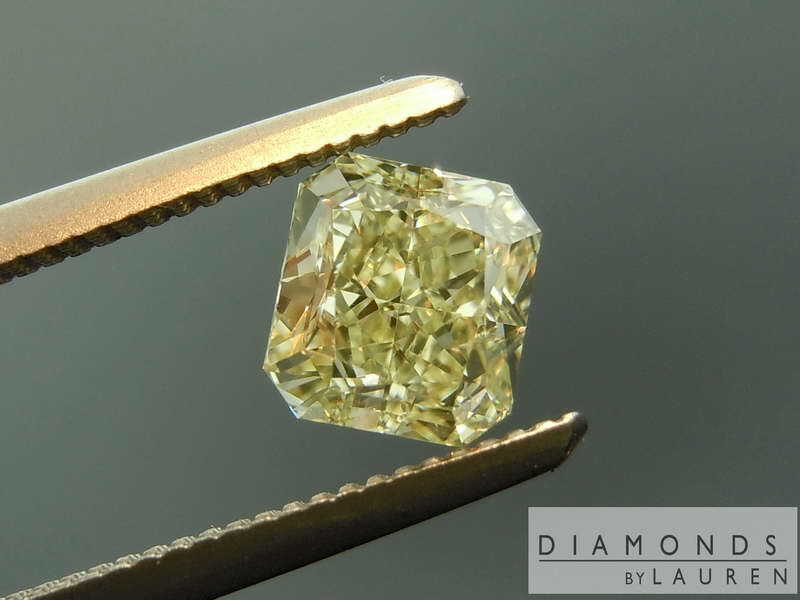 The light lemon yellow shade is clearly visible – and once we set it, it will even show more yellow. 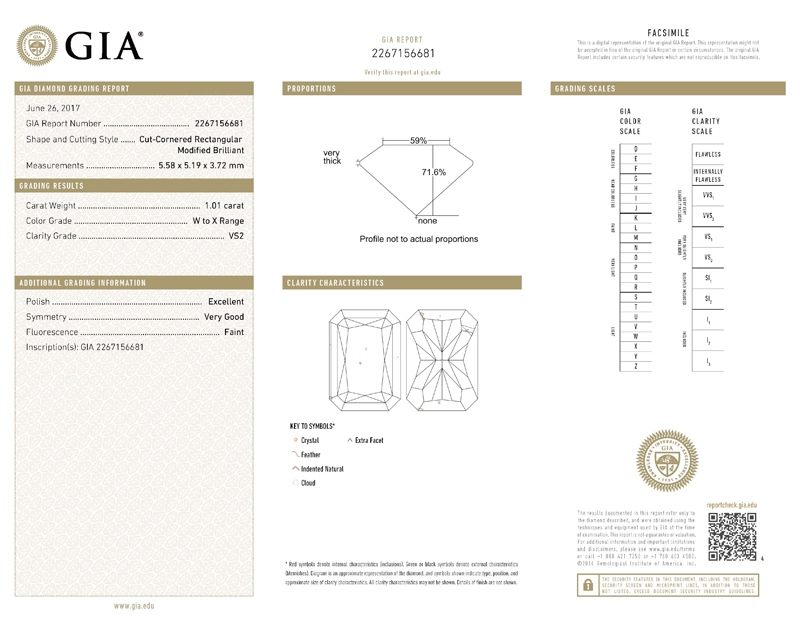 The diamond has been graded VS2 by GIA. 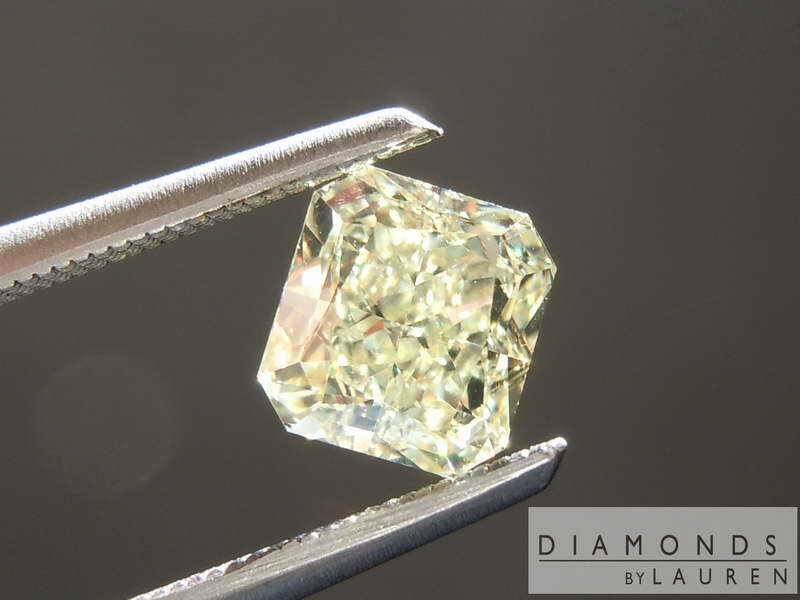 The reason is that there are a few minuscule crystals deep within the diamond. Each of them on it's own would be a VVS2 or VS1. Put them together when you get a VS2. 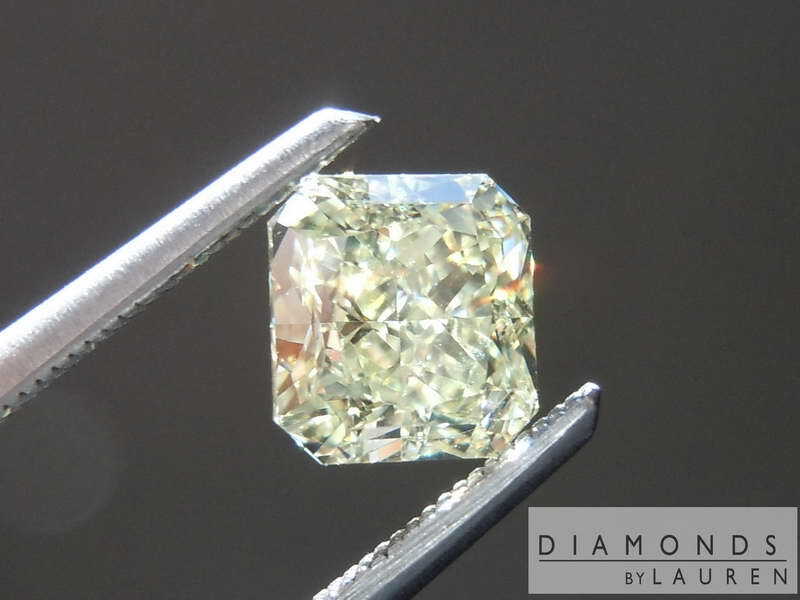 This kind of stone looks great as a solitaire, or in a halo.